Can someone send me a picture of the back side of a working B140QAN01.1? That would be great! Temetka wrote: I would suggest though looking at the kickstand on the surface pro 3. Thanks for the pointer! The kickstand is indeed interesting. However, I don't think it would work in a shaking bus or metro, which are environments that I plan to use the ThreadPad in. I chose green: It complements the keyboard's red/blue labeling to form the colors of the IBM logo used on ThinkPads. Edit: Picture now below 50 KB limit. Topic: T41 space key suddenly unreliable - fix? Re: T41 space key suddenly unreliable - fix? Thanks for the suggestions, rkawakami! I indeed use space a lot, as I am hooked to TouchCursor, a piece of software that allows me to keep my fingers near the home row at all times. T41 space key suddenly unreliable - fix? Topic: What is the keyboard's connector type? Re: What is the keyboard's connector type? 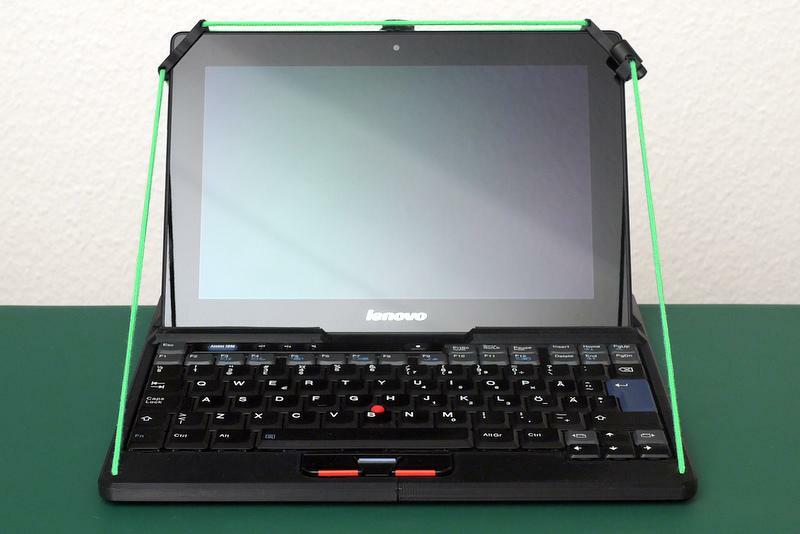 Topic: Android tablet / iPad plus ThinkPad keyboard? Re: Android tablet / iPad plus ThinkPad keyboard? DRobinson wrote: Maybe an old x31 or other smaller thinkpad could be modded in a similar way to house a new tablet. An old X41 is on the way to me. But I'm primarily interested in the keyboard and the TrackPoint. That's the first challenge. I am thinking about hooking it up with an Arduino. Topic: Any USB keyboard compatible with ThinkPad keyboards? Re: Any USB keyboard compatible with ThinkPad keyboards? Topic: Connect ThinkPad USB keyboard to Tablet 1 or 2? If building a custom Arduino based controller I am worried, though, that it will be hard to support the TrackPoint. twistero wrote: An arduino should do just fine. That would be a great solution, though I would need to find an Arduino hacker, or give it a go myself. More information about connecting ThinkPad keyboards by USB can be found in the thread "Could we kickstart fund a 4:3 machine".